Update: The tour is on today, Sunday the 25th from 10 to 3! We hope to see you! 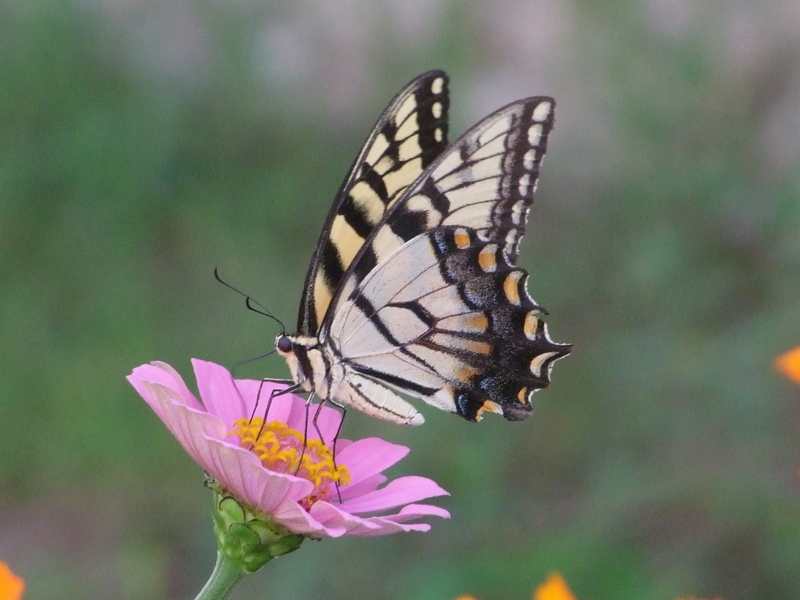 Explore eight diverse landscapes in central-northwest Oklahoma City during this free, self-guided Butterfly Garden Tour on Sunday September 25 from 10 am to 3 pm. There will be opportunities to purchase prairie garden perennials and grasses – plant them in the temperate fall weather to attract butterflies next spring! 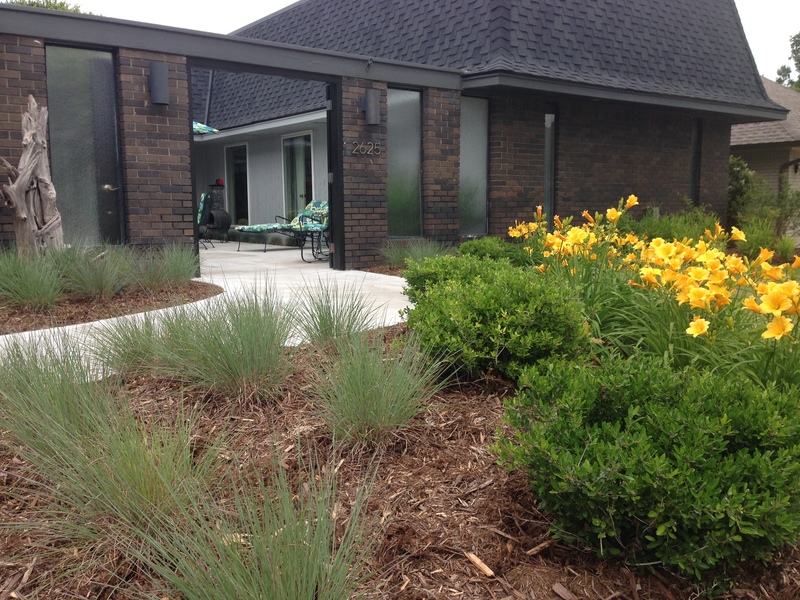 An inspired take on the traditional, this landscape showcases water-thrifty design: a buffalograss lawn, butterfly-friendly xeriscaped border, and local stained-glass artwork. 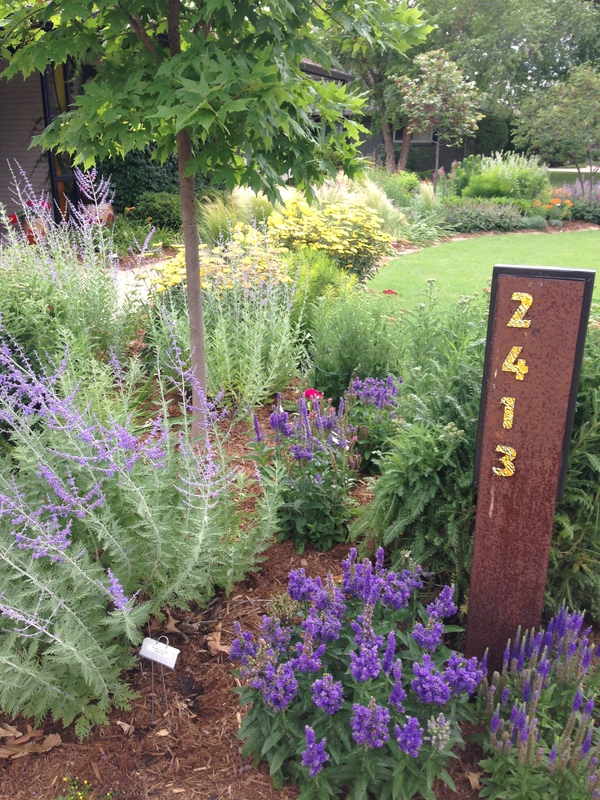 Co-designed by the homeowner and Randy Marks of Groundwork. Love pollinators and a modern aesthetic? Check out this formal landscape with front-yard patio and driftwood art designed by Jamie Csizmadia. Rambunctious dogs and butterflies co-exist in this back-yard retreat! Features loads of art and massive oil pipelines repurposed as planters. Designed by Jamie Csizmadia of Olthia Urban Prairie Gardens. Like a more carefree vibe? Explore this slightly untamed vegetable garden, urban orchard, avian sanctuary and prairie landscape. Includes peach, apple, pecan, plum and persimmon trees. Co-designed by the homeowner and Randy Marks of Groundwork. 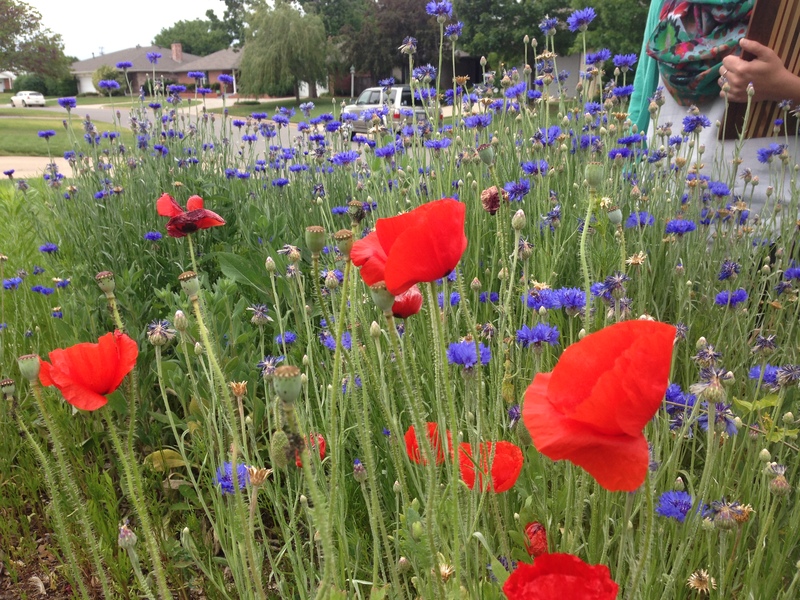 Find inspiration at this pollinator park designed specifically to welcome butterflies and bees. Neighborhood kids delight in caring for this special community space, which was just planted this spring! This one has everything—community garden, miniature orchard, rainwater garden, even an on-site pre-school where kids can grow (and eat) their own vegetables. These homeowners specialize in attracting the swallowtail butterfly along with a host of other buzzing friends. The site features twenty-one years of historic Oklahoma City Zoo memorabilia. Butterflies and bees come for the flowers – but they have plenty of work pollinating the tomatoes, peppers and other veggies growing at this much-loved community vegetable and flower farm.